Helping society’s most vulnerable people to avoid falling into fuel poverty and stay warm is the focus of a new Government initiative which has seen a £500,000 grant awarded to the Foundations Independent Living Trust. The ‘Foundations Warm Homes Service’ scheme is part of an initiative from the Department of Health to reduce the number of fatalities occurring over the cold winter months. Case workers from Home Improvement Agencies (HIAs) across the UK together with handy persons will be providing advice to some 4,000 households across the UK. Around 1,000 households will also be able to benefit from funding for small energy efficiency home improvements such as boiler repairs, installing a new gas fire or draught-proofing windows and doors. The scheme is financed by the Warm Homes, Healthy People Fund and managed by the Foundations Independent Living Trust (FILT), a registered charity established in 2002. So far this year FILT has provided grants worth £239,000 to more than 800 individuals. “This is the first time the HIA sector has been directly funded to make a significant contribution to tackling fuel poverty and it’s a great opportunity for HIAs to build on the fantastic local work they already do,” commented Baroness Kay Andrews, who chairs FILT. 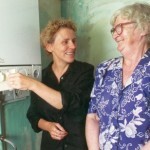 “I’m delighted that the trusting relationship HIA case workers have with thousands of vulnerable people has been recognised as an important tool to help reduce fuel poverty, quickly and effectively,” added the former minister for housing. The funding will be used to train around 400 caseworkers and handy persons in terms of giving advice to vulnerable people in how best to maintain a warm and healthy abode and avoid fuel poverty by lowering their central heating bills without compromising on comfort. Within the national network of home improvement agencies there are more than 170 home improvement organisations who do a sterling job when it comes to offering help and advice to more than 200,000 older, disabled enquirers or low income households every year. More than 4,000 vulnerable households will benefit from one-to-one free advice with information tailored to each individual and their circumstance ranging from a benefits entitlement check to accessing energy efficiency financial support such as heating and insulation grants.